Professional freelance filmmaker & photographer with over 18 years experience in the film, TV, corporate, web video production industries. www.darkskiesproductions.com Area...Read moreProfessional freelance filmmaker & photographer with over 18 years experience in the film, TV, corporate, web video production industries. 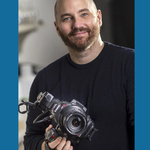 Summary: Over 17 years experience in film, TV and corporate/web video production. I've worked for the BBC at TV Centre, spent 3 months on the Hollywood movie Tombraider and spent 7 years as a news cameraman, director and editor with ITV News. I'm now freelance and am available with or without kit for directing, camera operating, editing and photography work. I'm familiar with camera formats such DVCam, HDV, XDCam, DigiBeta and the range of DSLR cameras (which I own). I own a Final Cut Pro edit suite and am also familiar with AVID, Photoshop, Motion etc. Previous clients have inlcuded such well known brands as Microsoft, One Queen Anne's Gate, Yell.com, Touch Local, Claims for You, Easistore and Bounty.com and many more. 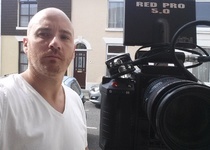 Description: Freelance filmmaker & photographer running my own production company - project managing, scriptwriting, filming, editing and final delivery to a variety of media platforms for clients and brands from a wide spectrum of sectors and industries. An excellent service - 1st class. Steve was conscientious in his work, got some great footage of the Wedding and was quick to reply to any messages I sent, unlike many other Videographers I've worked with. I would certainly use him again for further Video work.